General Motors CEO Mary Barra took a large pay cut last year, but she still earned more than any auto CEO in the world. 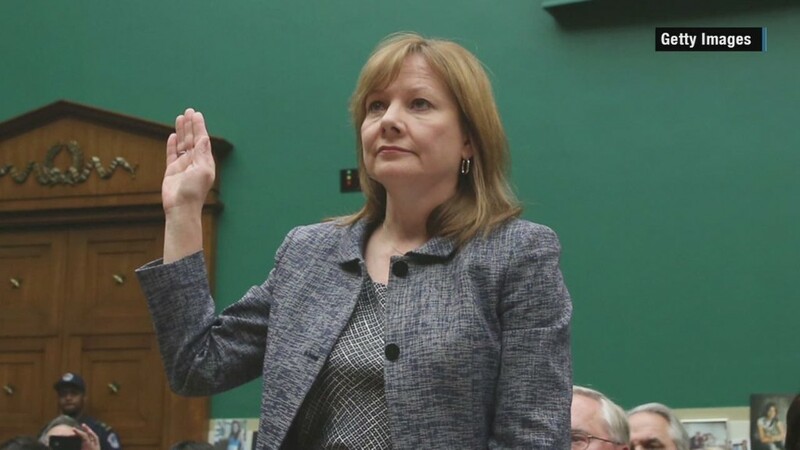 Barra, who in 2014 became the first woman to lead a major automaker, earned $22.6 million in 2016. That was down 21% from her pay in 2015, but that's only because she and other top GM executives received large one-time retention bonus in the form of stock options last year. Excluding that retention bonus, her pay last year was up about 30%, including salary, stock bonus and other benefits. Last year was the first that Barra's pay was tops in the industry, excluding her 2015 retention bonus. Ford (F) CEO Mark Fields got a 19% pay hike to earn $22.1 million in 2016, just short of Barra's compensation package. And Fiat Chrysler (FCAU) CEO Sergio Marchionne received €9.9 million, or $10.6 million at current exchange rates. Volkswagen CEO Matthias Müller, whose company captured the title of the world's largest automaker last year while dealing with an emissions cheating scandal that is costing it billions, received €7.3 million, or $7.7 million. Japanese auto executives are typically paid far less than their American or European counterparts. The lowest paid auto CEO is Tesla's Elon Musk, who a stated salary of $37,584 in 2015, the most recent year for which the company reported his compensation. But Tesla said his pay, which is based on California minimum wage for an 80-hour week, is only used to compute his income tax, and that he has not accepted any of it. But Musk also owns 33.6 million shares of Tesla (TSLA) stock, worth about $10 billion, making him by far the world's richest auto executive. GM had a good year in 2016, selling a record 10 million cars globally despite a slight drop in U.S. auto sales. The company also posted a record operating profit of $12.5 billion, up 16%. Only seven years ago, GM suffered through a federal bailout and bankruptcy. Barra's tenure began just as the company was hit by a massive recall scandal, as she was forced to admit the company had failed to recall a faulty ignition switch which eventually was tied to at least 124 deaths. She established a victims compensation fund that paid out about $600 million. She also made the decision to pull sell GM's European operations to PSA earlier this year, after losses there of about $22.4 billion since its last annual profit in Europe in 1999.